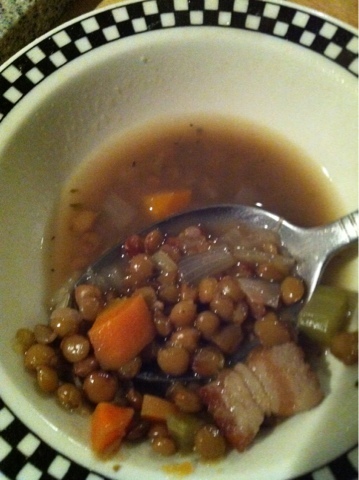 I am fan of Bacon Soups. That’s where I take bacon and use it to flavor the vegetables. 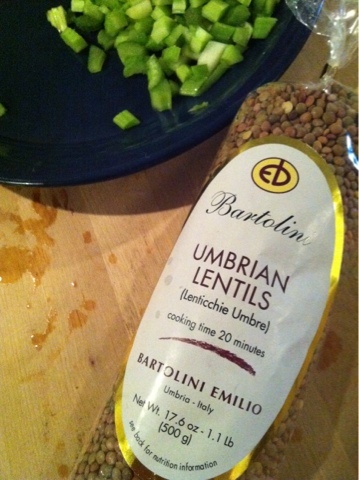 I love baby lentils and never tried Umbrian Lentils. I purchased some at a local market (Canyon Market, Glen Park Neighborhood, San Francisco) and some Neiman Ranch Applewood Bacon. It’s by far one of my favorites! It’s also gotten better after a day. 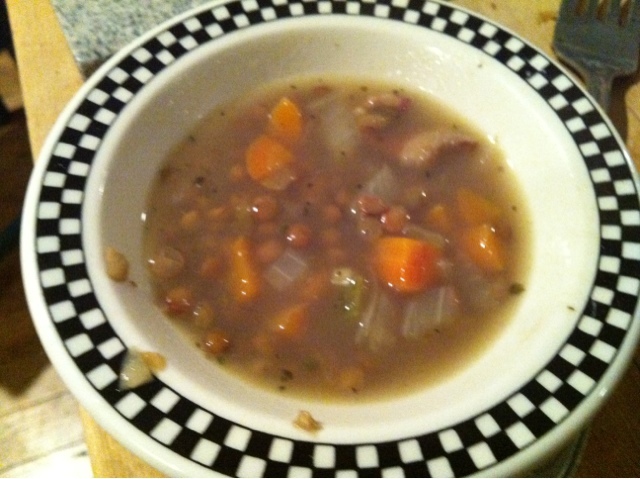 I made about 16 cups of soup – so at about $1 per bowl, it’s pretty inexpensive for being fancy. Heat the oil in a heavy large pot over medium heat. 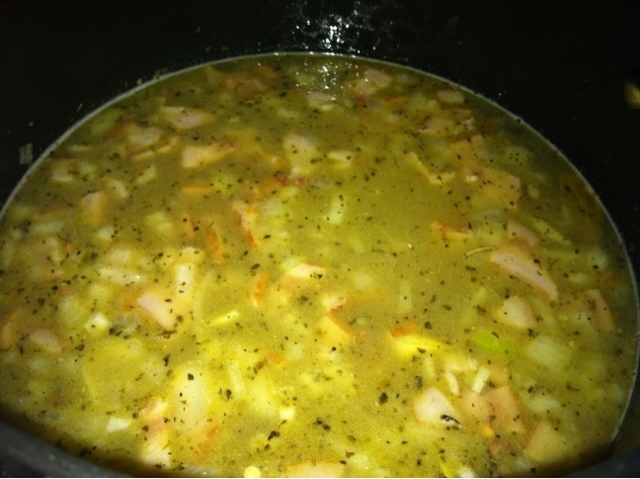 Add bacon, then onion, carrots, and celery. Add the garlic, salt, and pepper and saute until all the vegetables are tender, about 5 to 8 minutes. Simmer, stirring occasionally, about 8 minutes. Add the lentils and mix to coat. Add the broth and stir. Add the thyme sprigs or Italian Seasoning. Bring to a boil over high heat. Cover and simmer over low heat until the lentils are almost tender, about 30 minutes. Season with salt and pepper, to taste. Ladle the soup into bowls. Sprinkle with the Parmesan, or drizzle with olive oil, and serve.